Episode 71: Dont Breathe on Labor Day! This time Dana and Steve watch dont breathe, Im not a serial killer, blue sunshine, and many more on labor day! 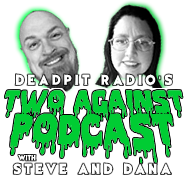 Episode 70: Dana and Steve Watch Stuff...and Stuff! 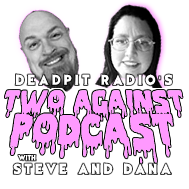 This time Dana and Steve watch crimes of passion,purgatory,star trek 2,and Keoma. To many to list!